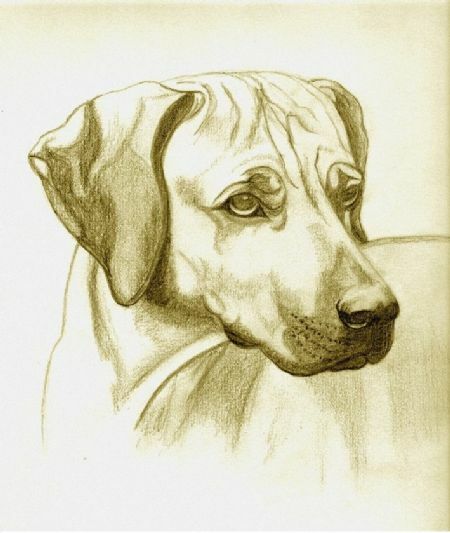 the home of quality Rhodesian Ridgebacks since 1984. Situated one hour's drive from Sydney CBD, our dogs enjoy the space and tranquility of seven rolling acres in the picturesque Hawkesbury Valley. We have been owned and loved by Ridgebacks since 1984 and have been privileged to enjoy them both as successful show dogs and wonderful family pets. They have helped raise our two children, guard our home and provide constant faithful companionship. 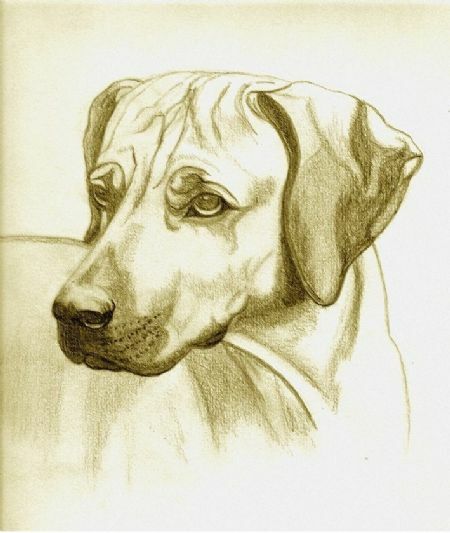 We have found that once a Ridgeback has been in your life then no other breed of dog will do. Breeding for quality and not quantity, we strive for the highest standards of correct confirmation and soundness of temperament by combining the best Australian and InternationaI bloodlines available. 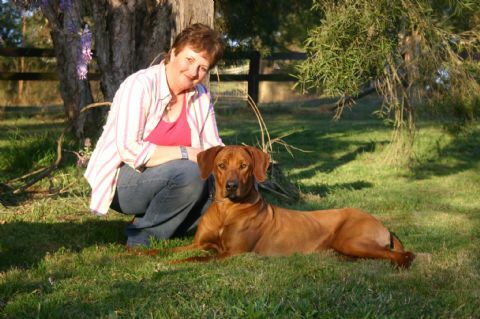 Our top winning Ch Veldthund Sabre ET (1988-2002) is the sire of Grand Ch Bearstar Chilean Willow ROM and is behind the pedigrees of some of the most successful Ridgebacks in Australia and Europe. As we believe Ridgebacks should have proven soundness, "Sabre" was the first Ridgeback in NSW to gain an Endurance Title. Following in the tradition of Sabre is our wonderful Gus, Ch Marmatia Gunella Gusto who is a Best of Breed and RU BOB Sydney Royal and Best in Show Specialty winner. Gus lives with our three girls Disa, and Marji, and Zeni. Like her dad Gus, Disa has Best of Breed and RUBOB Sydney Royal wins to her credit. We are always available to help with your questions about this wonderful breed.